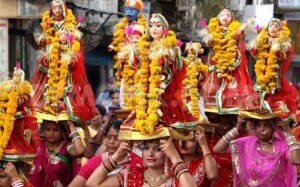 Join RWI’s volunteer trip to Udaipur in April and your time there will coincide with two of the region’s most famous annual festivals: Mewar and Ganguar Festivals. The traditional regional events celebrate spring and love, respectively. They are at their most zestful and thrilling in the city of Udaipur, where the Bichli Haveli Project is located. 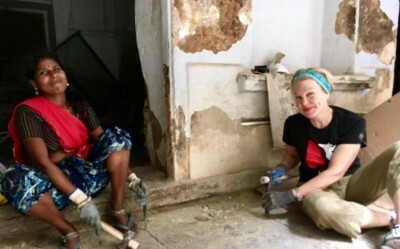 At the Bichli Haveli, you’ll work alongside our crew to help restore the 140-year haveli (traditional courtyard house) and transform it into a community and heritage resource center. In our downtime, we’ll be taking full advantage of all the festival activities while we’re there: processions, music, performances, and more. Our volunteer experiences are suitable for all ages. Whether you’re traveling solo, with a partner, a group of friends or family, please join us for this a once-in-a-lifetime trip! 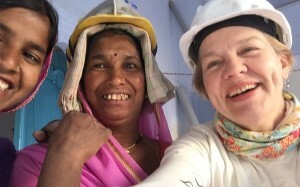 The December trip to the Bichli Haveli Project in beautiful Rajasthan, India, will have all the hallmarks of RWI ‘s unique tours: an experienced tour leader, an inspiring community-based restoration project, memorable cultural activities, and delicious cuisine. 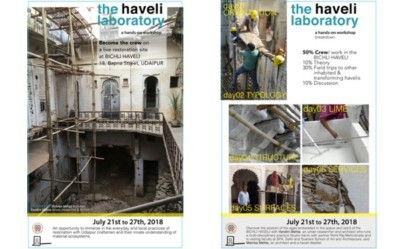 Come for the first seven days or join for the whole twelve to help restore the 140-year-old Bichli Haveli (traditional courtyard house) into a community and heritage resource center, the focal point of a neighborhood renewal program. 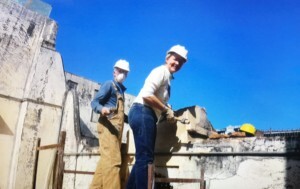 Whether you’re a seasoned traveler or a first-time overseas volunteer, a volunteer trip abroad can be a big commitment. Undecided or ready to commit, you’re welcome to join us for a live 30-minute webinar to see the India trip come to life. In this free webinar, you’ll discover what life on the project is like, find out where you’ll stay, what you’ll eat, and what you can expect to see and do. You’ll meet one of our trip Group Leaders, and can ask your pressing questions.